Owing to our rich industry experience and knowledge, we are engaged in offering Corner Notching Machine. Ideally suited for cuts on one side & comes with automatic cutting gap adjustment, the offered notching machine is manufactured with quality proven raw material as per quality standards. Along with that, customers can avail this notching machine in several specifications in accordance with demands of customers. LAS-TRONICS Technology Pvt. Ltd, Ahmedabad are the people who know Laser Technology at its best and its market. We have entered the arena with a clear view of catering the large segment of needy market which is still out of reach of laser based CNC Machines due to various reasons. · An Association benefiting Sheet Metal Industry and Textile Industry not only in India but also in other developing countries. · A brilliant combination of manufacturing and market leadership actively supported by Laser and Electronic technocrats and professionals. LAS-TRONICS – the laser people - with expertise and insight. Established in the year 2011, we, Las-tronics Technology Pvt. Ltd., are among the prominent manufacturers and suppliers of CNC Laser Cutting Machines and Sheet metal Working machineries. Inclusive of CNC Bending Press Brakes, Laser Cutting Systems, CNC Punching Machine, we offer a wide range of punching and shearing machines. Known for their high performance, minimum maintenance, longer functional life and sturdy construction. 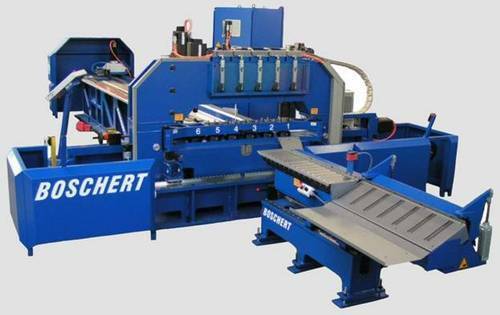 By using advanced tools and machinery, our engineers and other supporting staff manufacture the offered range of CNC punching and shearing machines in compliance with the industry set norms. Valued for its large scale, standardized and streamlined production, our infrastructure is well-equipped with latest tools and machinery. We have appointed a team of skilled and semi-skilled professionals to handle and manage different units of our infrastructure in the most efficient manner.